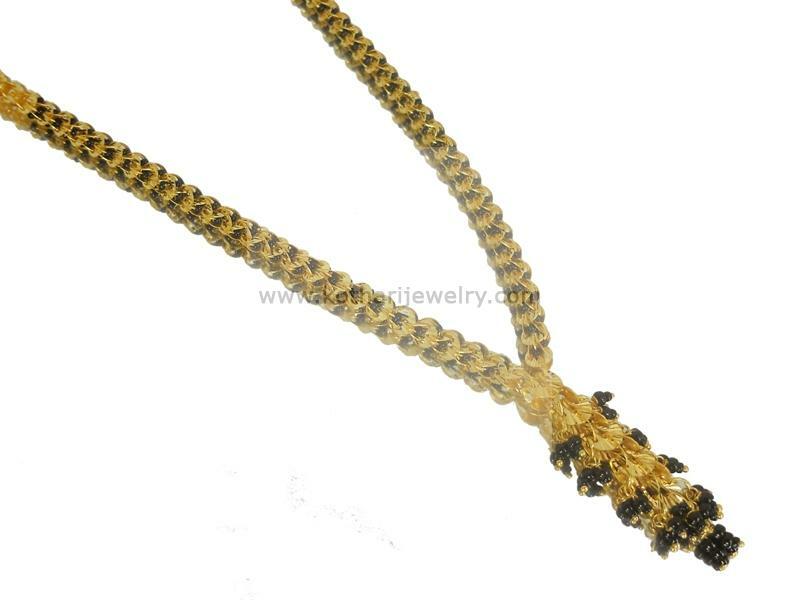 A unique pattern of coimbatore design of 22kt gold mangalsutra . The gold mangalsutra is BIS hallmarked for 916 purity. The mangalsutra consists of very thin plates of gold in which black beads are studded one above other.The gold mangalsutra has a dangling pendant with black beads.